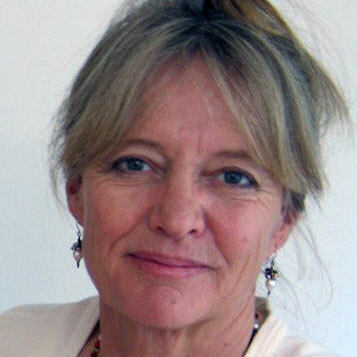 Priscilla Higham founded ASAP in 2003. Priscilla grew up in Botswana, where her father was a District Commissioner liaising with the remote tribes of the Kalahari and Whitehall 6000 miles away, where she witnessed well-meaning interventions in the colonial model, which invariably fell apart when they left, because the communities didn’t own them. In Kenya in the 80s, she joined Wangari Maathai and a group of women on a hunger strike in protest for their sons being imprisoned without trial. In 2000 she returned as a journalist, researching an article on African women for the Telegraph magazine. Wangari took her into the slums and introduced her to a number of grassroots women who had formulated their own way of coping, not an imposed system, but the African way. She travelled to South Africa and initial research into communities in the remote rural areas revealed the extent of the network of women, who are the front line response to the AIDS pandemic and the orphans and vulnerable children. Impressed by these women who had mobilised to begin to address the needs of the children, she was surprised by how few systems existed to support their development. Priscilla recognised that beyond admiring the compassionate heroism of these women, these grassroots women provided a vital entry point into the communities. She was influenced by amongst others, E.F Schumacher who believed in ‘smallness within bigness’ and wrote that investment in people must become the basis for sustainable development. The purpose of aid is to make women self-reliant and independent by the generous supply of appropriate intellectual gifts of relevant knowledge and the methods of self help. She founded African Solutions to African Problems (ASAP) to demonstrate the effectiveness of funding at a community level in marginalized communities, with a focus of listening to the communities and finding existing solutions to care for increasing numbers of Orphans and Vulnerable Children (OVC). Priscilla believes that children grow best in families and that the most effective strategy for addressing the needs of children made vulnerable by HIV/AIDS and poverty is to strengthen the ability of families and communities to provide for their care. She realised one of the effective solutions is to fund grassroots organisations that support households and communities to meet the material, educational and psychosocial needs of children . Now based in the UK, Priscilla continues to aid ASAP through fundraising efforts and by raising awareness of the work done in deeply rural communities where no other organisations are present.